For those who might need a refresher, the War of 1812 was the final blow that the United States dealt to Great Britain to establish total freedom and power on the international stage. The US had some early victories because England was concentrating on defeating Napoleon’s forces. After April 1814, the small dictator no longer posed a threat, as he was exiled to the island of Elba. England turned their attention to the US, and British troops soon invaded, setting the Capitol Building and White House on fire. After destroying Washington, DC, the British then set out for the city of Baltimore. Mind you, the Baltimore of yore was nothing like what’s in "The Wire." It was the third largest city in the United States, after New York City and Philadelphia, and was an important port that the British wanted to gain control over. But, even after twenty-five hours of fierce battle, the US came out victorious. Key, who was a well-known lawyer, was in Baltimore to help negotiate the release of a hostage. He got caught up in the action himself, getting detained aboard a British ship during the intense battle. As the sun rose, Key saw that the American flag was still flying, signaling a US victory, and he was inspired to write a poem that was originally entitled “A Defence of Fort M’Henry”. Key’s original publishing of the poem enjoyed some success but also suffered some failure, possibly because of its connection to a British drinking song. If hearing the United States’s national anthem has ever made you want to get your drink on, you might find some comfort in learning that its words are actually set to a British drinking song called “To Anacreon in Heaven.” Key loses 29 points for following a British tune for an American song about defeating the British, but some points may be recovered for involving booze and good times. Maybe this is why it took about a century for it to really catch on. It wasn’t until Woodrow Wilson began playing the song at official events in 1916 that it became widely recognized as a song of national status. And it wasn’t even until later on in 1931 that Congress adopted the song as the national anthem. Fortune, Brandon. 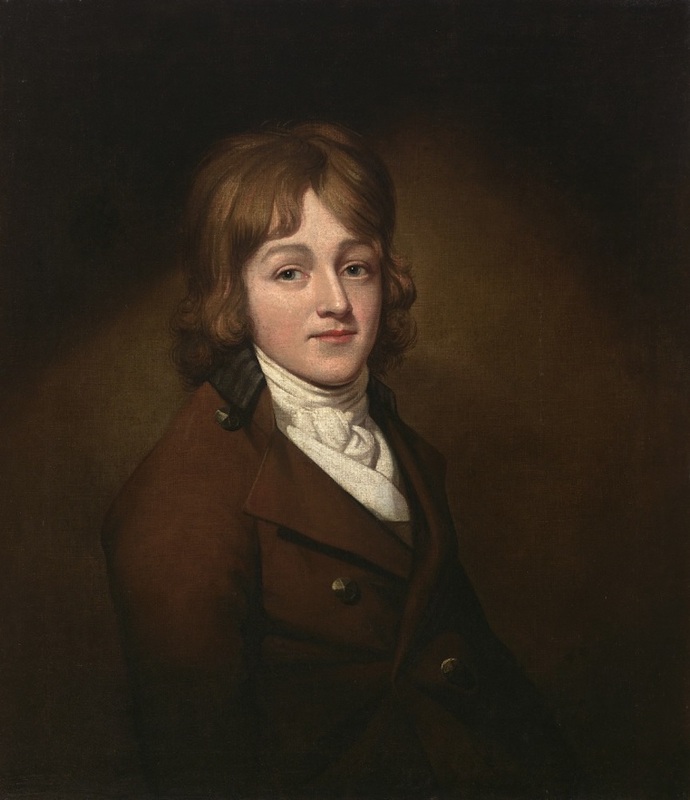 “Francis Scott Key: A Young Man and His Portrait.” National Portrait Gallery. Smithsonian. February 22, 2018. http://npg.si.edu/blog/francis-scott-key-young-man-and-his-portrait. Accessed August 12, 2018. Gelb, Norman. “Francis Scott Key, the Reluctant Patriot.” Smithsonian Magazine. September 2004. https://www.smithsonianmag.com/history/francis-scott-key-the-reluctant-p.... Accessed August 12, 2018. History.com. “War of 1812.” https://www.history.com/topics/war-of-1812. Accessed August 12, 2018. Smithsonian. “Francis Scott Key.” National Portrait Gallery. Portraits. http://npg.si.edu/object/npg_NPG.2016.22. Accessed August 12, 2018. Smithsonian. “The Star-Spangled Banner: The Flag that Inspired the National Anthem.” National Museum of American History. https://amhistory.si.edu/starspangledbanner/ Accessed August 12, 2018.